HomeUncategorizedWhat Did You Throw Into A Landfill Today? What Did You Throw Into A Landfill Today? Environmentalists everywhere can take some satisfaction in the rising recycling rates in the United States over the past several years. The percentage of these materials being recycled increases steadily each year, up to nearly 35% reports to the Environmental Protection Agency. 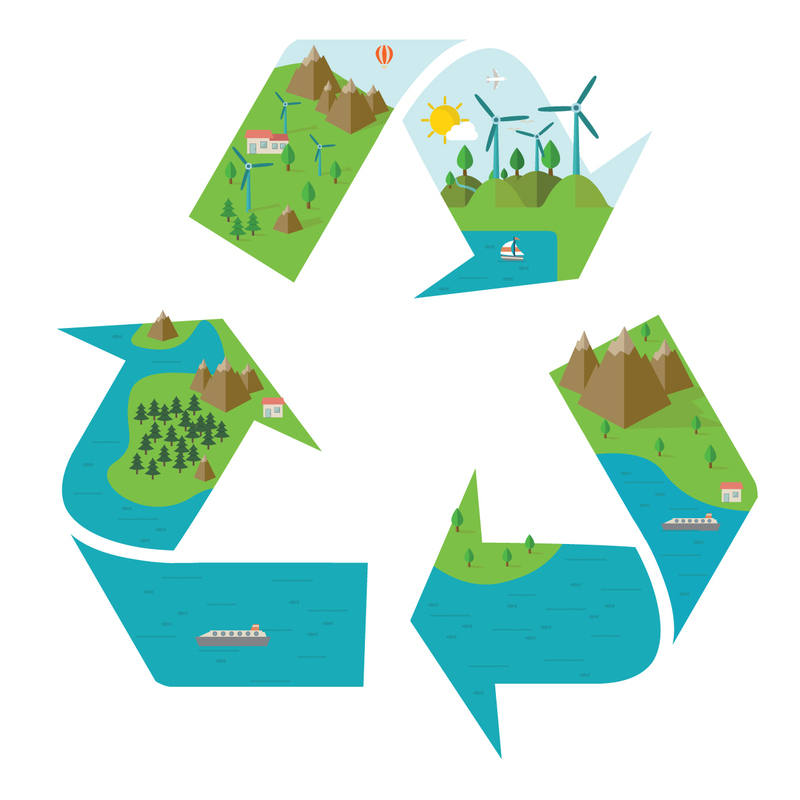 Over 94% of the U.S. population has some type of recycling program available to them; these programs result in nearly 90 million tons of materials including glass, paper, plastic, and metals being recycled each year. Recycling and environmental sustainability overall are taking root in our personal consciousness, affecting our everyday decisions. According to a Glass Packaging Institute survey, approximately 75% of respondents stated that they “look for changes that they can make their home or lifestyle greener or more eco-friendly.” Perhaps more importantly, nearly 50% reported that they would pay more for eco-friendly products and over 80% said that small lifestyle changes can add up to big improvements for the environment. And while it’s assumed that younger generations recycle more fervently than older generations, a Harris Poll recently found that people aged 35 and older are even more likely to say that they always recycle (nearly half compared to 33% for respondents aged 18-34). Since it’s established that consumers of all ages care more than ever about sustainability, let’s consider for a moment the environmental impact of different kinds of packaging. For years, traditional food offerings including vegetables, beans, tomatoes, pet food, soups and sauces have been packed in steel cans or glass and plastic jars. Which is the most environmentally sustainable option? First let’s consider the glass jar, the eternal storage vessel. Eternal not only because of its ability to keep foods from perishing for long periods of time, but also for the million years (literally) it takes to decompose in a landfill. Sadly, even though glass is eminently recyclable (it’s made of sand, after all), very few consumers actually do so: glass jars and bottles are recycled at only 17% rate according to Pew Research. Even though steel cans are recycled at a higher rate (70% according to Pew Research), it’s the longevity of the cans not recycled that’s of greater environmental concern. It takes a “tin” can up to 50 years to decompose in a landfill. And while 50 years is a long time, it’s but a brief moment compared to the 450 years plastic bottles can take to disintegrate. Compared to glass, steel, and plastic containers, Tetra Recart® cartons are the greener choice. The Tetra Recart® package is made primarily of wood fiber, a natural and renewable raw material. It’s comprised of 100% FSC™ certified fiber procured from responsible forest management and other controlled sources and endorsed by global environmental organizations. According to a recent Harris Poll, 65% of Americans agree they would probably not recycle a product that is not convenient to recycle. So it’s a good thing that Tetra Recart® packages are easy to flatten and are recyclable, so they can be turned into new, useful products when empty. And, when a less responsible person doesn’t recycle, these cartons will decompose in a landfill in just a matter of weeks—not years. To learn how Tetra Recart® can become THE sustainable package for your product, contact an IPM Foods representative today.